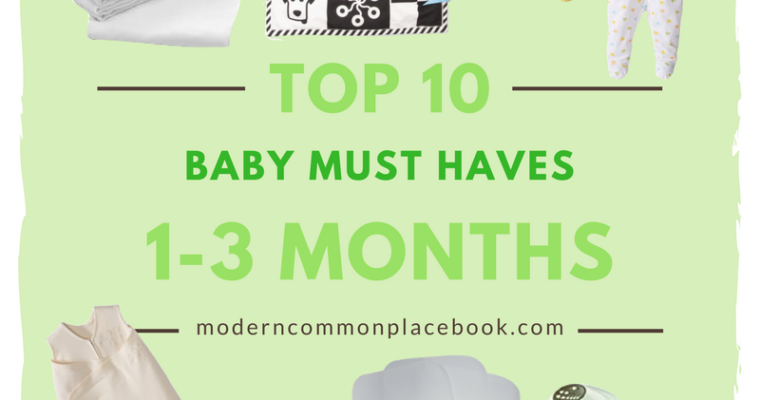 Raise your hand if you have a child under 1 year – and you just need a moment to go to the bathroom. 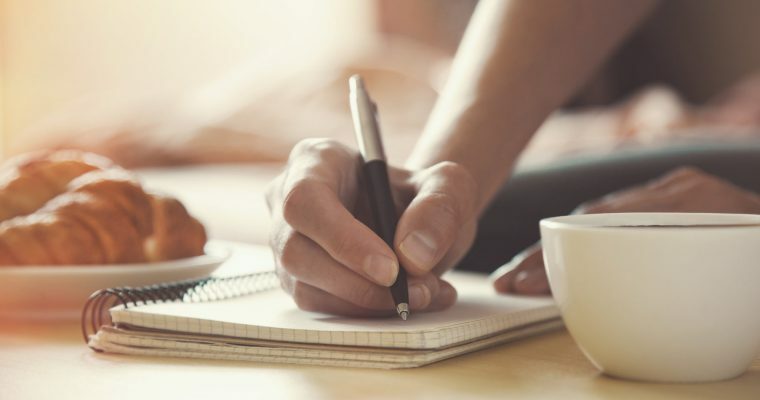 And, I actually need a few more moments, because I work from home. Because I have a desk in the living room, I am constantly looking for ways for my daughter to independently play near me. I love being near her, and I love even more when she can play happily right next to me, and not need me to distract her every minute. Right now she is 11 months old. 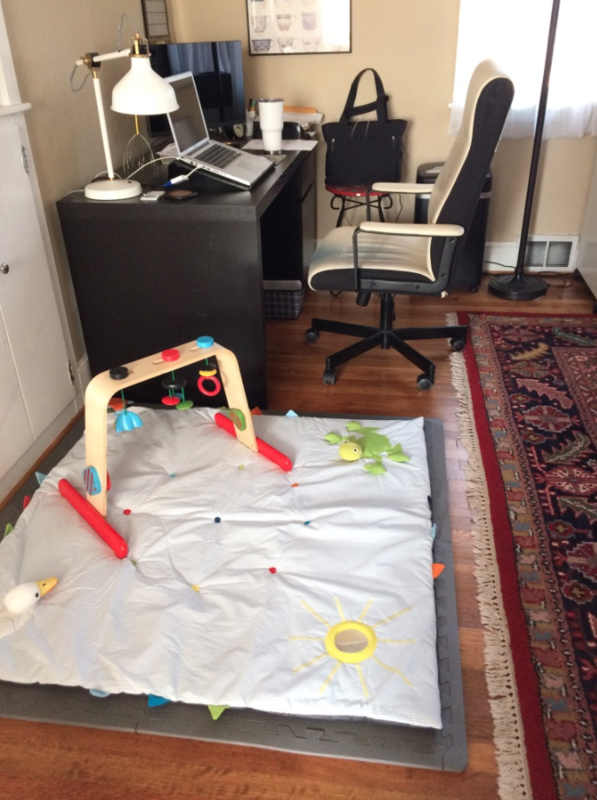 And, ever since she was about 3 months, I have had a rotating play area in my living room. It is constantly changing with her age and skills, but for the last 8 months I have had a safe place in my house where my daughter can play without supervision. And let me tell you, it’s magic. When I first started planning this area, I knew I needed a foam floor mat to cover our hardwood floors. But, if you have checked Amazon lately, they can be almost $100! Those pretty jigsaw foam play mats were just not worth it to me. I was mentioning this to my husband, and he promptly said, “Harbor Freight has those for $8!” And he was RIGHT. 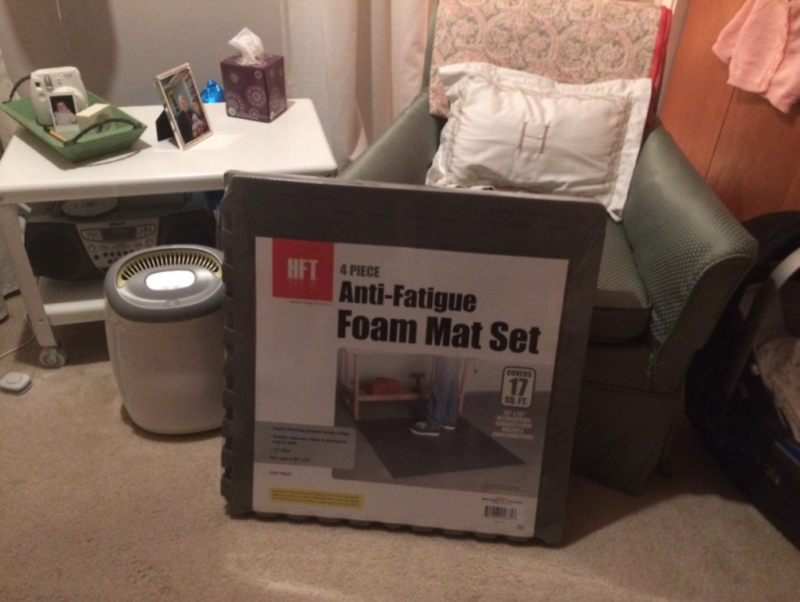 Harbor Freight has an AWESOME set of 4 foam panels that it together in a perfect 17 square foot square. This is what we now have on the ground under the play area and it’s perfect! You can get them at Harbor Freight here. Also, there is always a 20% coupon on the Harbor Freight website! I have seen them at my local Walmart too, but I can’t find the link online. On top of the foam mat, we have a rotating quilt for her to play on. 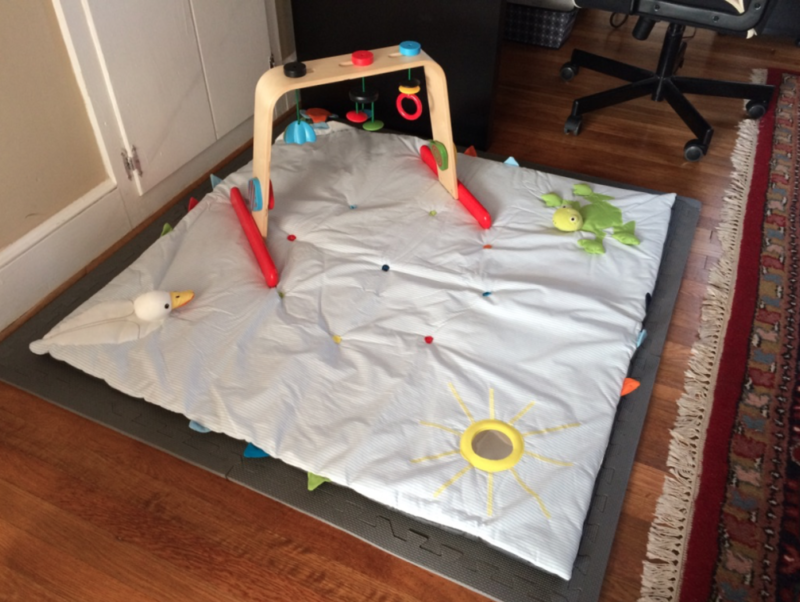 One of our favorites is this LEKA Play Mat from IKEA. It’s a little more pricey ($24.99), but is padded under the mat, and we take it EVERYWHERE. It’s perfect for trips and visits to people’s houses when we just need a place for her to play. She loves the attached duck, frog, and mirror – and we have definitely gotten our use out of it. 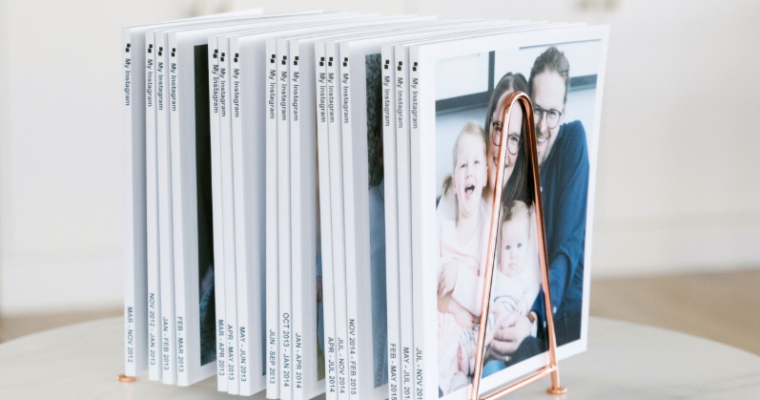 It’d be a great gift to a new parent! When she was little, we just needed this foam area and some toys. She would either lay on her back – or eventually roll around. When she wasn’t crawling, I knew I could go to the kitchen and empty the dishwasher, and she couldn’t get into any trouble. It is a marvelous arrangement! Now that my daughter can crawl EVERYWHERE, I have a different arrangement that she loves just as much. 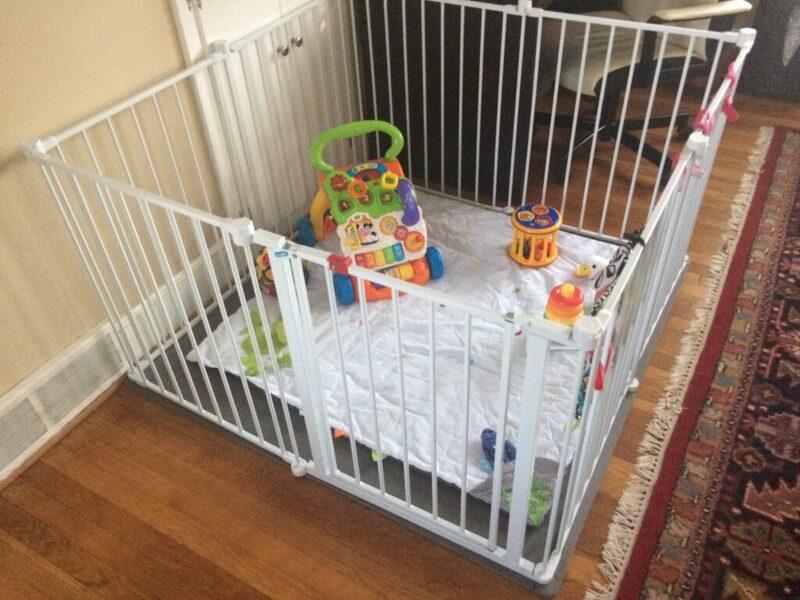 I bought this 8-piece baby fence from Amazon and it fits the square play area perfectly! She LOVES playing in here – and I make an effort to rotate toys so she is constantly stimulated. I call it “baby jail”, but it is much larger than a Pack ‘N Play, which is another great way to let kids play independently. So, it’s actually larger than some options ;-). Just for the record, I don’t use this in any way to neglect my child! She is never in here for more than 30-40 minutes at a time, and never against her will crying. I am blessed with a very content child that is happy playing right next to her Mama. I hope this helps some of you parents out there! Even if it’s seems like a bulky set up for a living room, it will give you life to have an area where your child can play by themselves. 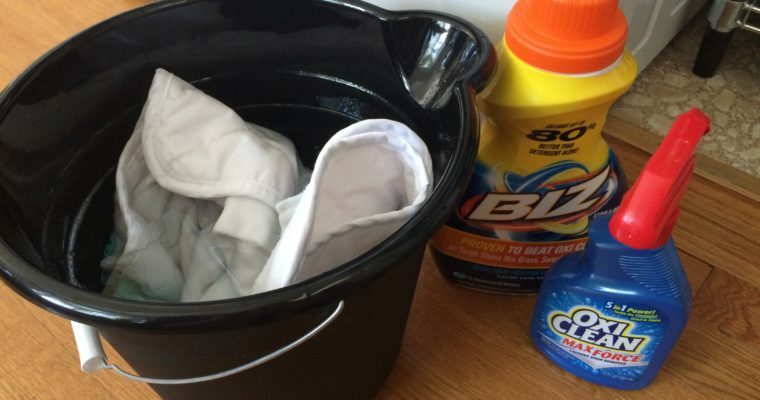 I’m telling you – you might even be able to empty your dishwasher!